The 42-year-old actor bowed out of the show ahead of the start of the campaign period for the local elections this coming May. 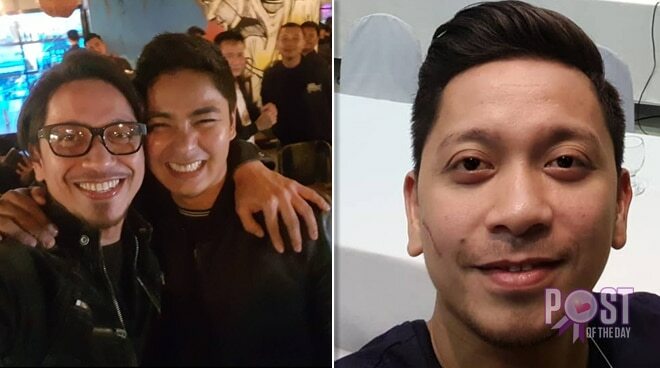 Following his exit on the hit primetime series Ang Probinsyano, actor Jhong Hilario said that he’s particularly grateful to Coco Martin for giving him the opportunity to star as the villainous character Homer, also popularly known as Alakdan. The Sample King revealed this in an Instagram post that he shared on Tuesday, April 2, exactly a week after he officially bowed out of the show. “Isa ako sa maswerteng natulungan mo sa industriya.. Salamat sa tawanan at kulitan on and off the set. Naka dalawang bday narin ako sa Ang Probinsyano. At tatlong award! Salamat sa pag turing sakin hindi lang bilang katrabaho kundi bilang kapatid at kapamilya. Hiling ko para sayo ay magandang kalusugan para marami ka pang magawa at matulungan..hanggang sa muli Direk Coco...Salamat [sic],” he wrote. A recurring candidate as Makati City councilor, Jhong left ahead of the start of the campaign period for the local elections this coming May. Himself seeking a senatorial seat, Lito Lapid, who was part of the cast as Leon Dumaguit, was first to leave the show in February.